1 Output: Continuous 20A, Burst 25A up to 10 seconds. 2 Input Voltage: 2-3S Lipo, 5-9 cells NiMH. 3 BEC: 2A / 5V Linear mode BEC. 4 Refresh rate of the throttle signal: 50Hz to 432Hz. 5 Max Speed: 210000rpm for 2 Poles BLM, 70000rpm for 6 poles BLM, 35000rpm for 12 poles BLM. 1 Safety arming feature: Regardless the throttle stick position, the motor will not spin after battery connected. 2 Throttle calibration funtion: Throttle range can be calibrated to be compatible with different transmitters. 4 Multiple program methods supported: transmitter stick, LED Program Card. 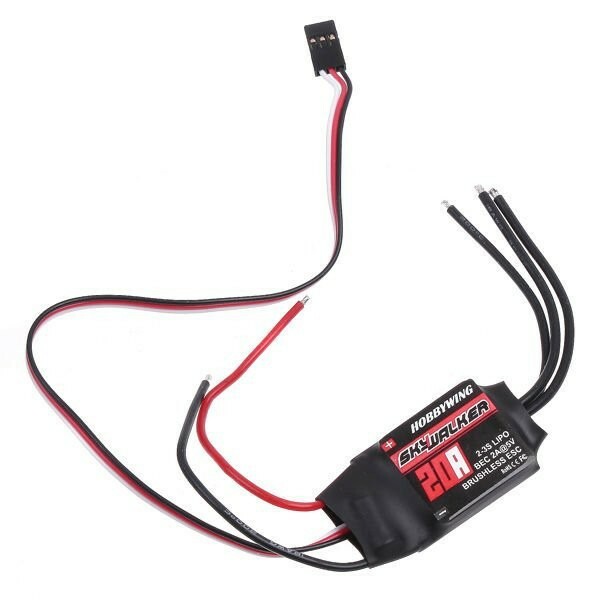 Very easy to program the ESC at home or at the flying field. 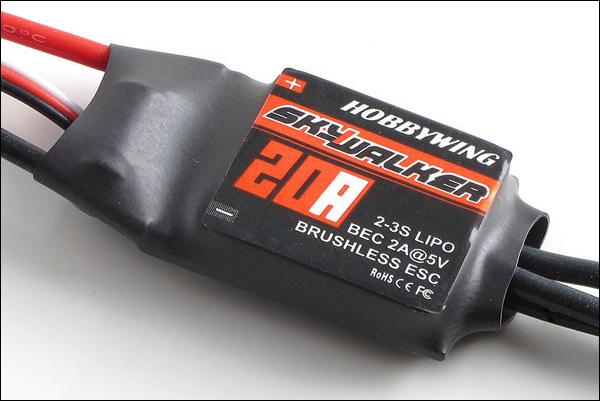 5 Compatible with Lipo and NiMH battery. 6 Timing can be changed to be suitable for different brushless motors. 7 Full protection: Low voltage cutoff protection / Over-heat protection / Throttle signal loss protection.